Google’s ‘mobile friendly’ update came into effect recently and I have some early data showing the possible effects of the changes. For example, Barclays’ mobile-optimised homepage ranks well, but its non-optimised pages have dropped in the search rankings. 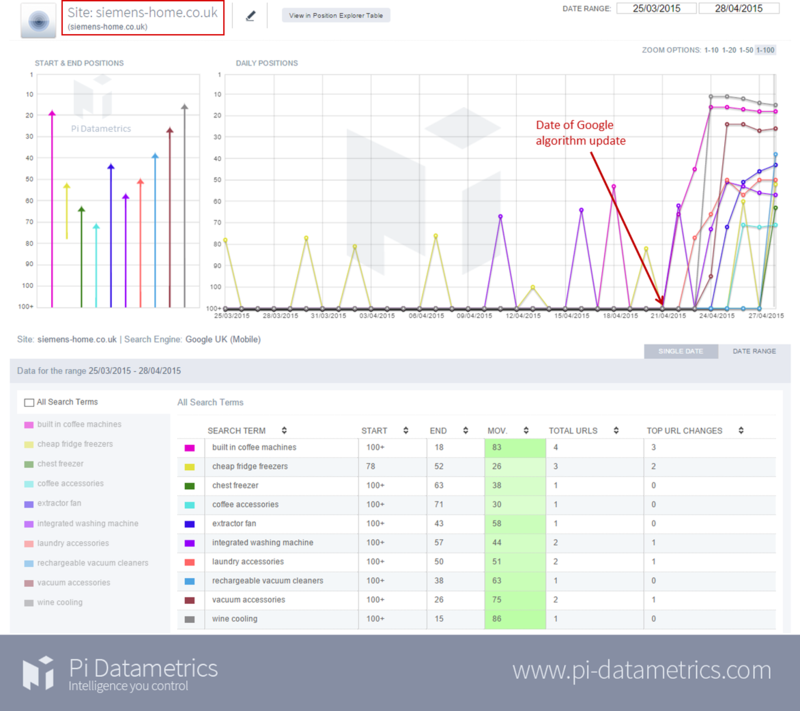 I have used charts from PI-Datametrics, which analyse the rankings of several high profile sites for a range of keywords. I have also used Google’s Mobile-Friendly Test tool to determine whether the big G approves of these mobile pages or not. The results seem to show some interesting effects post ‘mobilegeddon’ but I’ll leave it to you to draw your own conclusions. This is an interesting one, as some parts of the Barclays site are mobile friendly, and others aren’t. This mobile friendly page ranks consistently well and Google’s mobile update came and went without any noticeable effect. Other pages on the Barclays site failed Google’s test, such as this one. It’s a desktop page, so text is too small and links are too close together. Here we can see the effect of the algorithm (or what seems to be the effect) on the mobile friendly pages. This BA page on Algeria is just a desktop page, therefore it has been flagged by Google. There are several such pages on BA and the following terms all lead to mobile ‘unfriendly’ pages. Asda has mobile friendly pages and seems to have benefitted from this update. This shows the results of Google’s test for its trout fillets page. The trout fillets page is the burgundy line, which has jumped post-update, along with several others. This is similar to Asda. Siemens’ pages are mobile optimised and Google is happy enough with them. The ranking jumps suggest that Siemens has benefitted from the mobile-friendly updates with some significant ranking jumps across a range of terms. These early results suggest that Google’s mobile friendly update has indeed had an impact. Sites which are optimised for mobile have benefitted, while pages which aren’t mobile friendly have fallen down the rankings. The results for BA and Barclays, with a mixture of pages optimised for mobile and standard desktop pages, seem to bear this out. 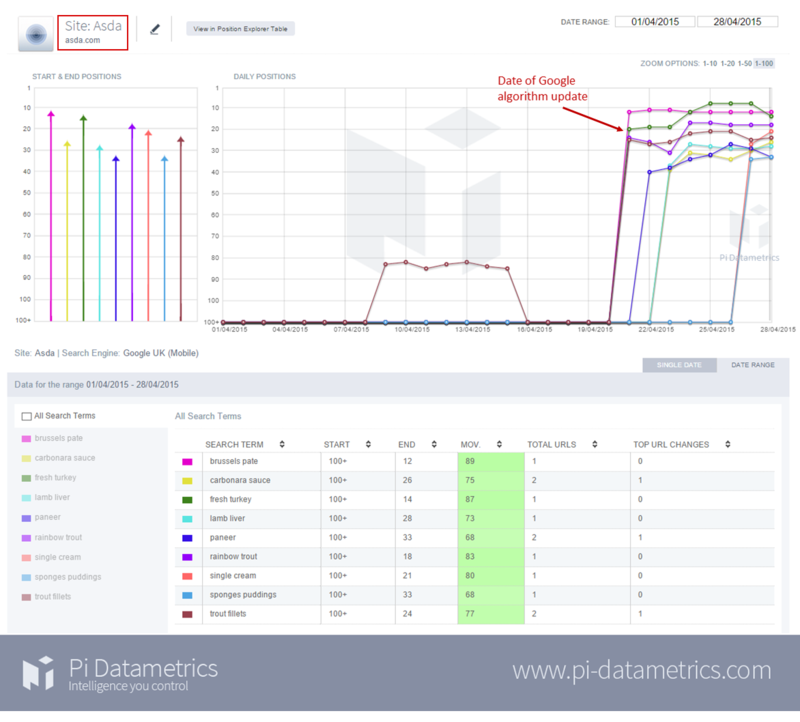 However, these results only show a correlation between the date of Google’s mobile update and changes in rankings. 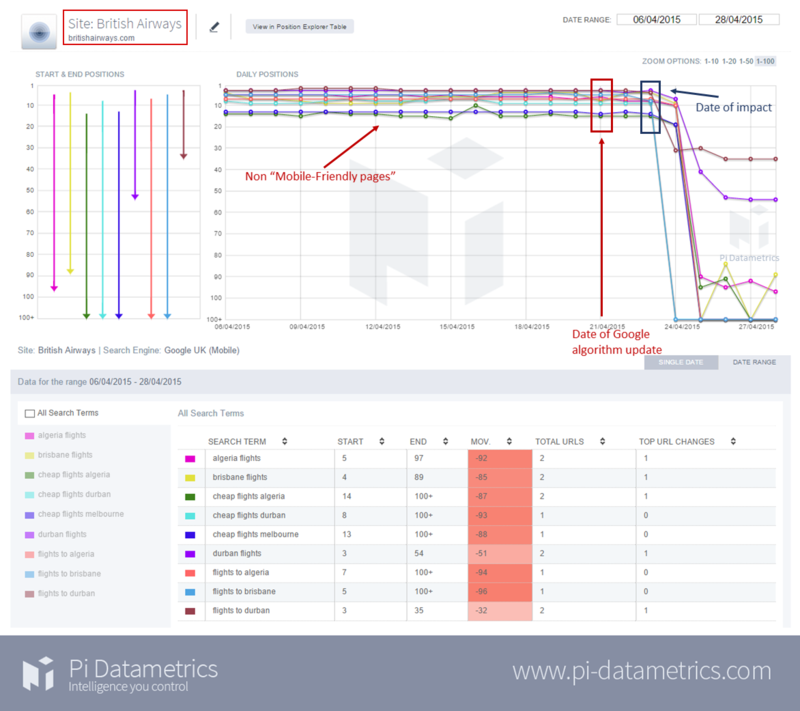 Rankings can fluctuate for various reasons, and there may also be cases where brands have panicked in advance of ‘mobilegeddon’ and implemented changes that have done more harm than good.